מצותה משתשקע החמה עד שתכלה רגל מן השוק. Everyone knows that Chanukka celebrates our victory over Greek tyranny, and the miracle of oil which burned for eight days. In remembrance of these wondrous events the rabbis instituted the holiday of Chanukka, observed by lighting candles in our doorways and windows for eight nights. The point of this practice, says the Talmud, is to publicize the miracles that happened “at that time, in this season.” Consequently, ideally, the candles should face the public domain, and be visible to passersby. Their prominence, however, does not just hinge upon placement; timing is equally critical. They need to be burning during the time when folks are actually passing by. If they are only kindled late at night it’s likely that no one will see them. And so the Talmud rules: The time for lighting Chanukka candles is while there are pedestrians still traversing the market place. Yet there is a deeper teaching embedded in the idiomatic language of this Talmudic passage. …Until the foot ceases from the public marketplace. King Solomon notes: “This opposite this HaShem created the world.”There’s a holy realm and a shadow realm, says the Ari, and they are mirror images of each other. Since the human being is a microcosm of the universe, the structure of these two realms is imaged as an Adam, with head, limbs, torso and feet (or at least the equivalent of such). The holy realm is called Adam d’Kedusha (the Holy Adam), and the shadow realm is called Adam Bliya’al (the Scoundrel Adam). Hisunholy province is the abode of klipot—literally, husks, and refers, metaphorically, to all that conceals the truth that G-d is one, good, just and everpresent. That’s a real problem for the klipot. In the spiritual world things are close when similar and distant when different. Opposites cannot get anywhere near each other. So how can the klipot get hold of their life juice when they can’t approach its holy repository? Fortunately, for them, there is a plan B—the loophole called “Heel in the public domain” (רגל בשוק ). Let’s try to understand that obscure metaphor, by defining its two terms: heel (רגל /regel) and public domain (שוק /shuk). When Adam and Chava defied God’s word and ate from the forbidden Tree, reality imploded. It shattered and collapsed into the lower realms. Its lowest edge, its feet so to speak, fell all the way down into the klipot—the impure realms—into the head (so to speak) of Adam Bliya’al, and from there its sparks dispersed throughout the entire stature. And what do we know about the “head” of this Scoundrel Adam. 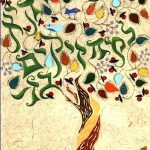 The Baal Shem Tov teaches that wherever our thoughts are, there we are. So what kinds of thoughts float through the head of Adam Bliya’al? There are two terms that have technical application in Jewish law, but are also employed by chassidut to express states of consciousness. These terms are reshut yachid (private domain) and reshut harabim (public domain). An example of their technical usage is that on Shabbat we do not carry objects from a public domain (i.e. the street) to a private one (i.e. our home), or vice versa. 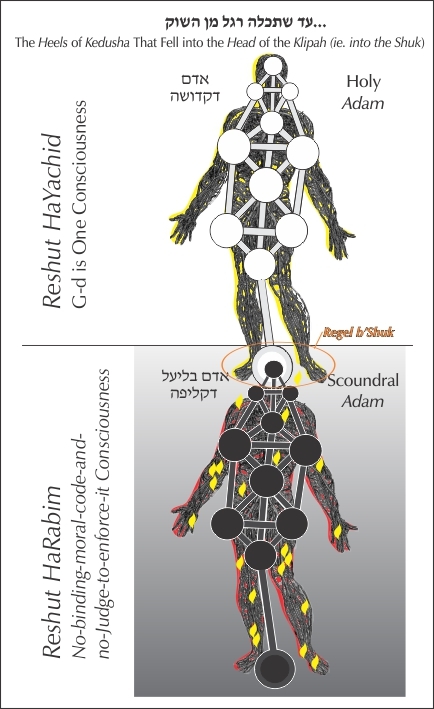 Adam Bliya’al lives in reshut harabim consciousness. Theoretically that should create an unbridgeable chasm between itself and its holy source of life-juice. But since the heels of Holy Adam fell down into the impure realms, and its sparks dispersed throughout the klipot, Adam Bliya’al can draw sustenance from these holy slivers of light that are now trapped inside its domain. In kabbala, the farther something is from the head, the less conscious it is. The feet symbolize the most unconscious layers of our psyche, the places that are still “in the dark” when it comes to faith and wisdom. Since, in the spiritual realms, likeness produces closeness, these short-sided, fear-driven, cynical layers of soul naturally gravitate toward Adam Bliya’al. And so there is a tug of war between Adam d’Kedusha and Adam Bliya’al. 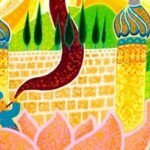 The Holy Adam is trying to pull its regel min hashuk, to extract its (metaphoric) feet from the realms of darkness, doubt, delusion and guilt—to collect all the scattered pieces of itself and infuse them with the certainty of faith. But Adam Bliya’al is pulling in the opposite direction. These “fallen feet” and captive sparks are its life line. It will not surrender without a fight. And so it tries to cripple the holy Adam with fear, despair, and shame. This is not just a cosmic odyssey that it playing out through history…it is also a battle that is happening inside our very own souls. We also have a regel stuck in the shuk of reshut harabim consciousness. There are dark corners of our psyche (its “heels”) that have not fully absorbed our faith. We still get snagged (for example) by envy and rage which could not happen if G-d were fully in the picture. Every time we do a mitzvah or choose the high road we raise a spark and pry our heel loose (a little more). Whenever we afflict our soul or veer from truth we degrade a spark and ensnare our heels (a little more). The Chanukah menorah is a beacon that sends its light out into thereshut harabim. Its precision-guided photons target the sparks that are trapped inside the klipah—the splinters of light that together comprise the heels of our Holy fallen Adam. A candle, says the Zohar, is not just a source of illumination. It is a living symbol that broadcasts the truth of Divine oneness into the psyche of those looking on. The soul is fluent in reading symbols. It prefers them to words. On Chanukka our souls are flooded by candlelight and the message of oneness that it transmits. The hope and prayer (and theory) is that these sparks trapped in reshut harabim consciousness will absorb that light, awaken, and return to the truth of their soul. Let our Chanukka menorot inspire a mass aliya of fallen sparks returning to their holy land, the reshut haYachid mindset, where truth rules and faith prevails. Bereft of life-juice the klipa should wither along with the rage, envy, lie, and shame that are it proxies. 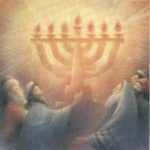 Let it be now, on this Chanukka, that the “heels finally cease from the shuk—תכלה רגל מן השוק —and the gates fly open to our reward phase of history, growth-through-joy, mashiach and beyond. TB 23b; Prayer recited upon lighting the Chanukka candles. R. Isaac Luria, Shaar haGilgulim, shaar 21. R. Shlomo Elyashuv, Leshem Shebo V’Achlama, Ha Drush Olam HaTohu, chelek 2, drush 2, anaf 3, ot 4. Ari, Sefer HaLikutim, parashat Toldot. R. Tsadok HaKohen, Pri Tsadik, Chanukka 1.